Holy Bright Rovers Batman! Is that a Discovery or a school bus!? 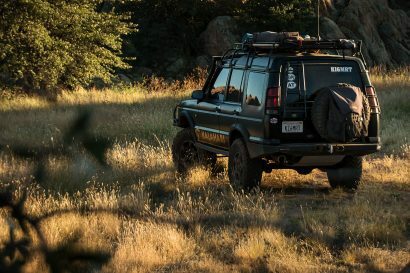 Well as some of you may already know, this color combination isn’t a one off paint job or Camel Trophy imitation, but actually a straight out of the factory color option from Land Rover Special Vehicles. The XD package as it was dubbed, included the yellow paint, subdued wheels, an SD roof rack, and a few other various options. It was installed on a total of just 250 cars during its short run and according to the advertisement it is guessed that only around 150 of those still remain today. 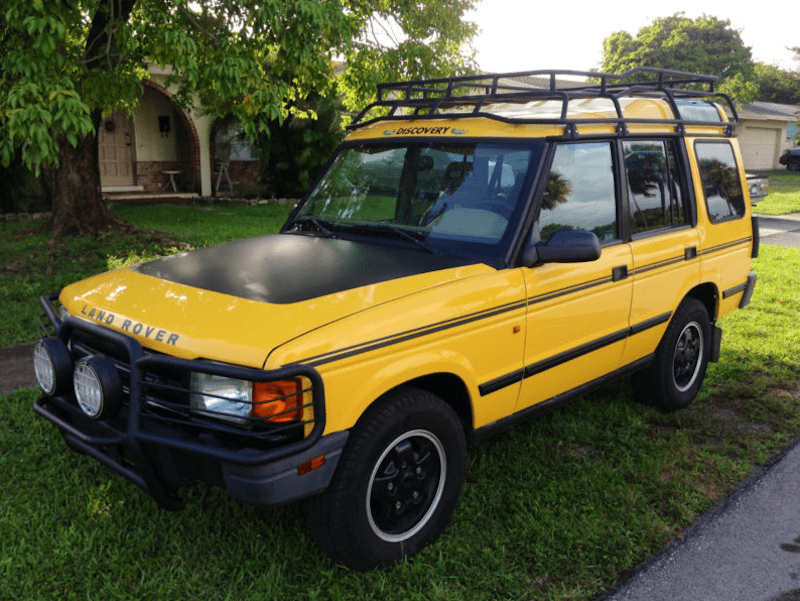 Because there are so few left, this truck is more than just a Rover with a bumble-bee paint job, but a rare and relatively valuable package to acquire. 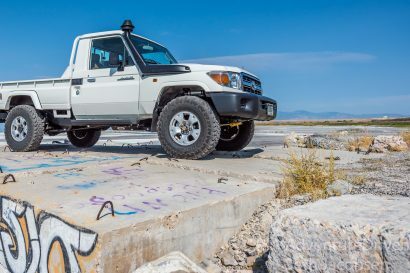 This Discovery has remained relatively unmodified over the years and includes almost all of its factory components from the roof rack to the original seat covers. In fact at first glance you’d probably say this vehicle was completely stock, but a quick listen to the engine from just about anyone would tell you differently. Instead of the usual hum of a gasoline V8, your ears would be greeted by the puttering thrum of a 4-cylinder 200Tdi diesel engine. 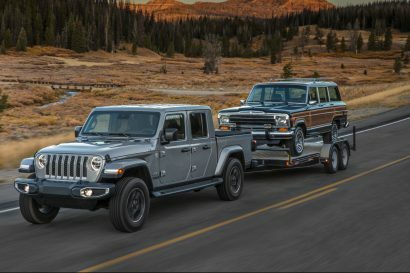 The owner mentions this diesel allows the truck to achieve fuel economy numbers averaging up to 27 MPG, which is a refreshing figure when compared to the original average of 14. During the swap an LT77 Manual Gearbox was installed with all the proper components to make this setup function as it was intended to. Up for sale is my rare 1997 Land Rover Discovery XD that was converted to a 200 Tdi with an LT77 manual 5 speed and LT230 transfer case. 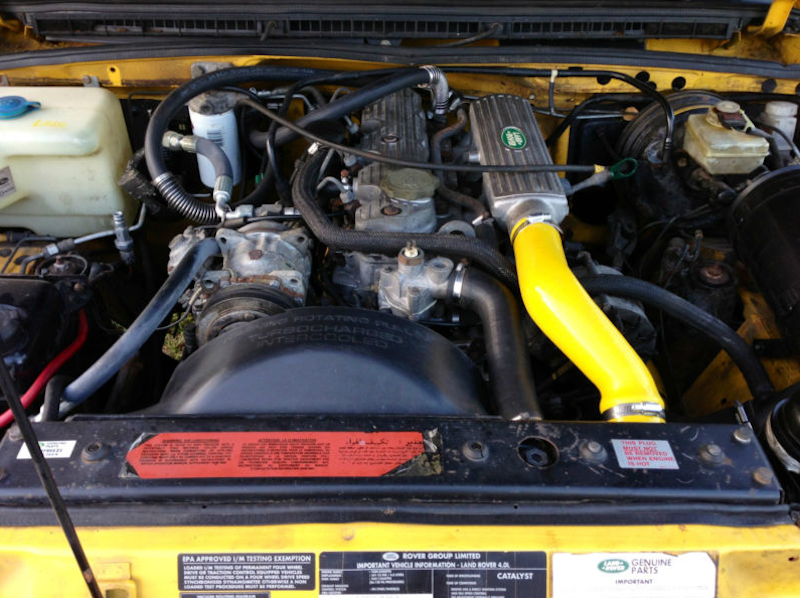 A complete donor RHD Diesel Discovery was used and the result was a factory conversion of the complete drivetrain. The 200Tdi engine had just been overhauled prior and that is why the donor car was purchased. During the conversion it received a timing belt and clutch service. The XD has less than 108K original miles on the body and the drivetrain has approximately 97K miles. I drove the truck down without issue from North Carolina to South Florida after purchasing it and averaged 27 MPG. The AC blows cold and was converted to R134. The tires have plenty of tread and the factory spec shocks have 40K miles on them. -The complete braking system was overhauled to include: calipers, rotors, and pads on all 4 corners. 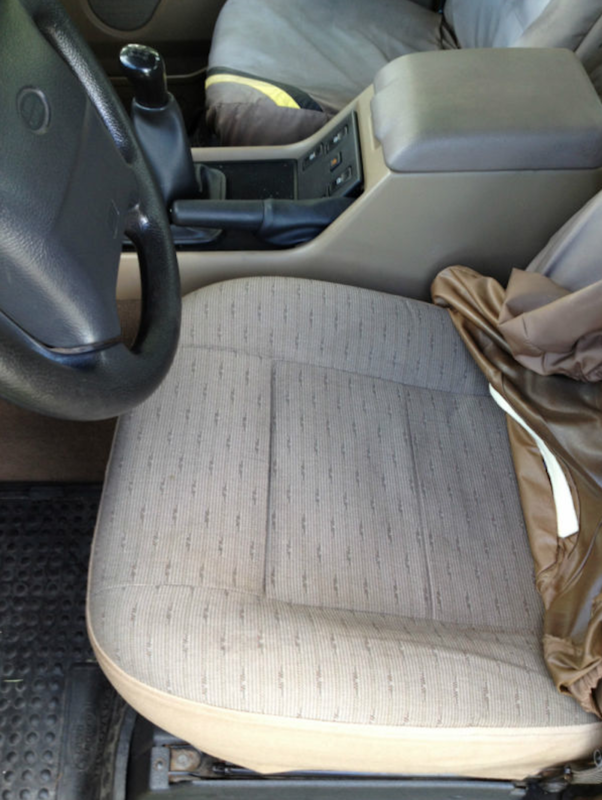 -The power steering was serviced to include a new pump and hoses. I also purchased a rebuild kit for the steering box to have as a spare. -I purchased 3 service kits which include air, oil, and fuel filters for future maintenance. -I replaced all belts, and have an extra set as spares. -New yellow silicone hoses to the turbo intercooler. -Replaced the front grille that was cracked. -New powder coated accessories to include: Front brush guard, rear access ladder, rear light guards, and cup holders. 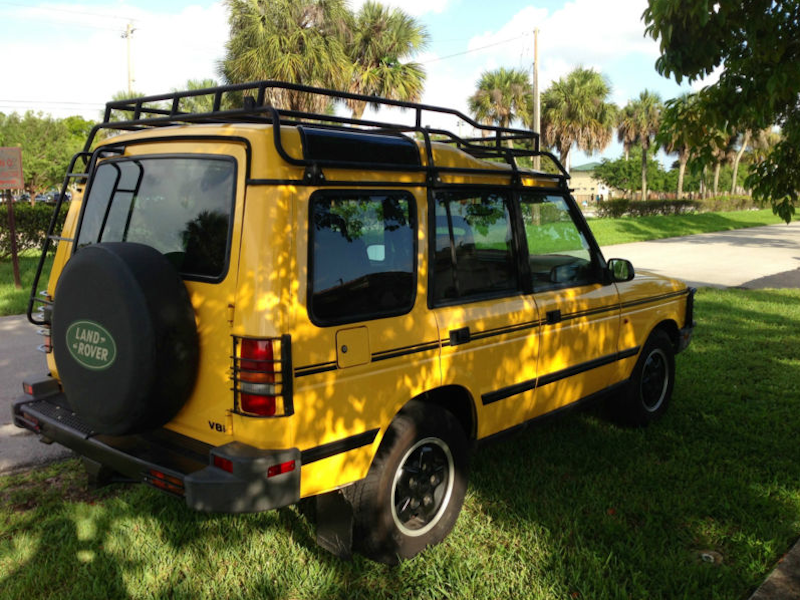 -I was also able to locate an obsolete NOS Land Rover yellow “Discovery” decal for the front brush guard. *Most of the items were purchased from England and shipped to my home.